So you’re vacationing in Mexico? When it comes to drinking, there likely is one thing on your mind--Margaritas! Although these deliciously sour, boozy, sweet and slightly salty concoctions are sure to make an appearance in your hand a few times, there are so many other unique drinks that call Mexico home. Whether you’re partying on a beach in Cabo or adventuring in the budding culinary hub of Mexico City, it would be a shame if you didn’t try out a few other authentic Mexican drinks. Here are ten alcoholic and non-alcoholic drinks you have to try for yourself when visiting this vibrant country. Margaritas aren’t the only popular tequila-based drink south of the border. Paloma means dove in Spanish and is a great alternative for those who don’t like straight shots of Tequila. Paloma is made with a grapefruit soda, lime and tequila blanco. It’s usually served over ice and with a wedge of lime. It’s a refreshing drink to sip on the beach or on a night out. You may be planning on having a booze-filled vacation, but that makes it even more important to stay hydrated. Aguas Frescas translates to “fresh waters”, which is exactly what they are! 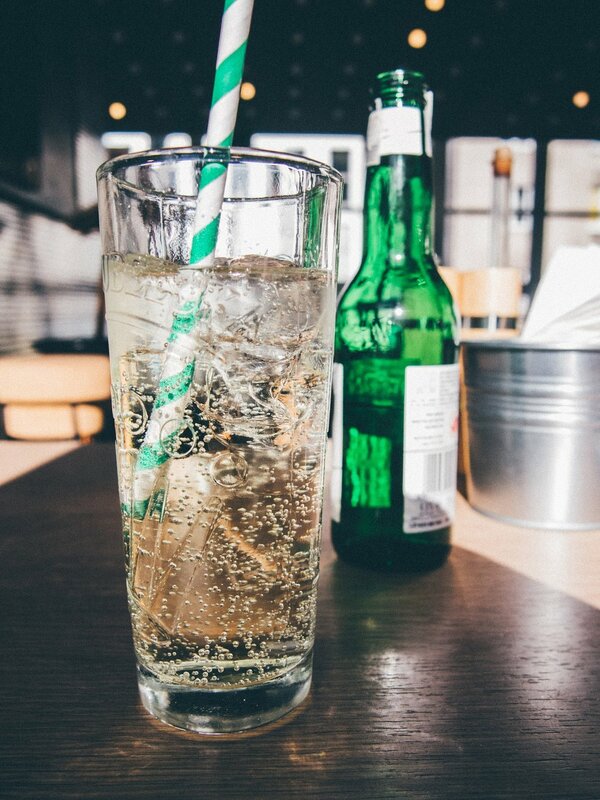 You can find these refreshing drinks at almost every restaurant and they’re often even sold on the streets. It’s pretty much a naturally flavored water and you can find all kinds of flavors from jacaima to watermelon. Buy a few of these between your alcoholic drinks to pace yourself and stay hydrated! Mexico is most known for its tequila and beer. However, its growing wine industry shouldn’t be written off! In recent years some excellent Mexican wines have surfaced that are ideal to pair with dinner. In fact, if you’re visiting anywhere near Baja California, Durango, Coahuila or the center area you should pay a visit to some of the country’s best wineries for a day of wine tasting! Tejuino is quite low in alcohol, but makes up for it in uniqueness and taste! It’s a refreshingly cold drink made from fermented corn and is usually served with shaved ice and sprinkled with chili powder. If you’ve ever had a Mexican tamarindo candy, you’ll find the flavor to be quite similar. 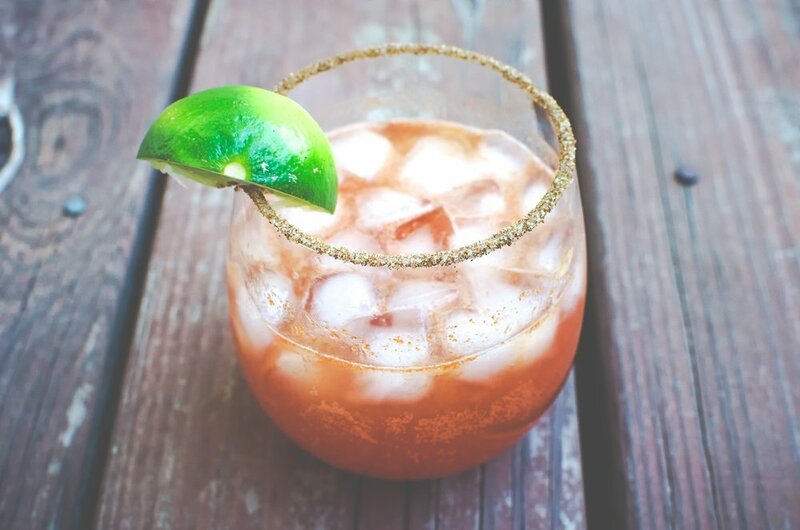 As with Michelada, there are many variations of this drink found throughout Mexico from being served in a plastic bag to fancily served with a scoop of lime sorbet, cinnamon and a garnish of tamarindo candy. Okay I admit it, Margarita’s are one of the best drinks you can get in Mexico, but why not spice it up a little? You’ll find countless flavors of Margaritas to try out like mango, passion fruit, pomegranate and the local favorite-- tamarind. If you want a bit of a kick then keep your eye out for a pepino margarita made with a habanero lime sauce, mint and cucumber. If the weather isn’t too hot and you want to try something comforting, a Mexican hot chocolate shouldn’t be missed. Mexican hot chocolate is in a whole different ballpark than the traditional stuff you can get at home. It’s filled with spices and cinnamon flavor and usually is extremely rich. It’s a lovely start to your morning or a great after-dinner treat. Mexican hot chocolate is usually prepared by bringing milk to a boil and adding in chocolate tablets. If you’re brave enough, trying this ancient Aztecian era drink should be on your list. Pulque is the fermented sap that comes from the maguey cactus and has a milky texture. In Aztec times, warriors, priests and elders believed it came from the 400 breasts of Mayahuel, an esteemed goddess. Drinking pulque is quite an interesting experience in that you can sit and drink it for hours without feeling the slightest bit intoxicated. It’s only when you stand up and try to walk around that you’ll find your movements are wobbly even though your mind is clear (don’t worry it’s temporary). If you can’t stand taking tequila shots, then it may just be that you’ve never tried the real stuff. Authentic Mexican tequila is known to be extremely smooth and easy to get down. If you’re interested then look for a bottle that says 100 percent agave or ask a bartender for their recommendation. Keep in mind that you’re not supposed to kick back a good Mexican tequila shot to get it over with. Instead, it is meant to be slowly sipped and enjoyed. Don’t be afraid to ask for an orange or lime wedge on the side! Visiting Mexico around the holidays? Don’t miss out on trying the Mexican version of eggnog. This boozy and rich holiday treat is made with milk, eggs, rum and vanilla. You’ll find it everywhere around the holidays as it’s a common celebration drink. Rompope actually has origins in Spain, but it was brought over during the colonial era. A variation of this drink contains almonds, but most are a yellow color because of the egg yolk. I hope this article got you excited to visit the tropical, sunny destination of Mexico! Make sure to check out Jetsect.com to get on board for their next trip to the Rivera Maya!